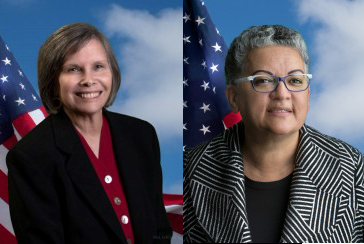 OAKLAND, Calif., March 13, 2015 – The Peralta Community College District has been invited by the Subcommittee on Economic Opportunity of the United States House of Representatives Committee on Veterans’ Affairs to discuss with the Subcommittee veterans’ programs at the Peralta Colleges. The hearing is to be held in Washington, D.C., on March 17, 2015. Peralta Community College District Trustee, Bill Withrow (Area 1), pictured, a veteran, will testify on behalf of the four Peralta Colleges, Berkeley City College, College of Alameda, Laney and Merritt Colleges in Oakland. The Subcommittee has asked the Peralta Colleges to provide information on the resources and programs it offers to assist the youngest generation of veterans as they attend community college. The District’s oral testimony and its written statement will be made part of the hearing record in order to share best practices in assisting student veterans with other colleges nationally. The attendance at the hearing of the San Francisco Bay Area-based Peralta Colleges, the only community college district in the nation asked to testify, comes following a visit to Washington in February 2015 by a delegation of District Trustees. President of the Board, Meredith Brown (Area 2) led the delegation that included Trustees Linda Handy (Area 3), Cy Gulassa (Area 6) and Withrow. On its visit, the Peralta delegation met with the office of Senator Bill Cassidy (R-LA), the staff of the Education and Workforce Committee, the senior legislative assistant for the Committee on Veterans’ Affairs, Saki Ververis, and other policymakers. The four Peralta Colleges, which provide a range of academic and vocational programs to 30,000 students a semester, have full veterans’ services, including certifying officials and Veterans’ Affairs counselors to assist veterans throughout their course of study. There are veterans’ resource centers on each campus and a range of programs to serve the 640 veterans attending the Peralta Colleges during the spring 2015 semester. 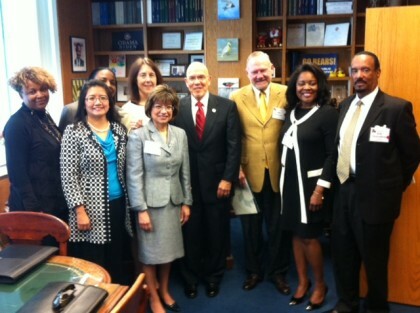 Peralta College Delegation in Washington, D.C.
Peralta Colleges’ Chancellor, José M. Ortiz, led a delegation this week to Washington, D.C., to discuss educational issues with the nation’s lawmakers. 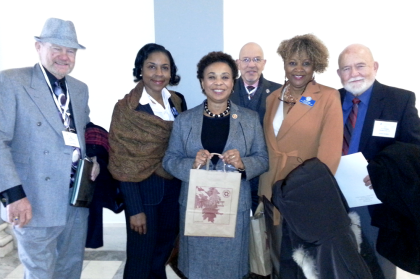 In this photo, Peralta’s delegation met Congresswoman Barbara Lee (California’s 13th Congressional District) in the Longworth House Office Building where the Congresswoman was attending a Workforce and Education Committee hearing. Pictured from left, Trustee Bill Withrow, Trustee Meredith Brown, Congresswoman Lee, Chancellor Ortiz, Trustee Linda Handy and Trustee Cy Gulassa. Peralta’s delegation asked lawmakers to change work study formulas to be fair and equitable, to support successful “wrap-around” services for students, for Congress to expand programs for Asian American, Native American Pacific and Hispanic-serving institutions, and to allow colleges to use tax exempt funding practices to keep pace with infrastructure needs. 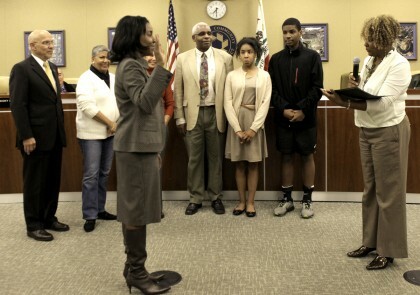 Filed under: Board of Trustees, Peralta News. Tagged: Asian American, Bill Withrow, Congresswoman Barbara Lee, Cy Gulassa, Delegation, Hispanic, José M. Ortiz, Linda Handy, Longworth House Office Building, Meredith Brown, Native American Pacific, Washington D.C.